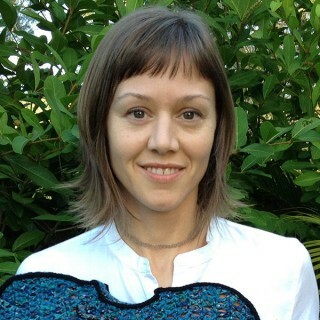 Michelle Schwengel-Regala is a scientific illustrator and fiber artist, currently working as an Artist in Residence at the University of Hawai’i-Mānoa Art & Art History Department. She studied Entomology & Wildlife Ecology at the University of Wisconsin-Madison and with a graduate certificate in Science Illustration from the University of California at Santa Cruz has collaborated with researchers at various natural history museums in the USA and Sweden. During her decade in Hawai’i Michelle has developed a broad body of work in fiber, and through that medium continues to convey themes from nature. She coordinated a hyperbolic crochet Hawaiian coral reef exhibit, yarnbombed a museum with a 1000 ft2 camouflage sweater, and most recently developed an installation featuring creatures from the hadal zone. As an Artist-at-Sea aboard the Falkor she will explore new ways to intertwine art and science with fiber.